Why Do We Need a Custody Agreement? It may seem artificial or out of character to think about a “visitation schedule,” but in any kind of divorce or custody situation, it’s imperative for your sanity and your children’s stability that you strongly consider working out a formal plan detailing when you and the other parent have your children. This involves sitting down with the other parent and talking about a schedule that works for you, the other parent, and most importantly, your children. This doesn’t apply in situations involving domestic violence or mental health issues. In general though, if you and the other parent are reasonable, appropriate individuals who should both be actively involved with your children, you’ll want to try to reach an agreement. One of the biggest benefits to reaching an agreement with the other parent is that you maintain control over the process. The only limitation is your creativity. Working out a schedule with the other parent is an excellent first step towards building a healthy co-parenting relationship. This will allow your children to be in the center of your lives, as opposed to stuck in the middle. Many people think that having a judge decide their case is better, but in most situations, litigation should be your backup plan. Your judge can’t possibly know your exact schedule or your children’s needs. The law limits what a judge can and cannot order. When you have to testify in court, often times statements are made that are incredibly destructive and ultimately damage the co-parenting relationship. There are three basic terms in a custody/visitation agreement, which sets forth a skeleton outline for your specific plan. They are: legal custody, physical custody, and the visitation schedule. The agreement itself should be in writing and filed with the court to make it an enforceable court order. In most situations, it’s appropriate for your signatures to be notarized. Legal custody has to do with making parenting decisions related to the health, education, and welfare of your children. It’s what separates you as a parent from a grandparent or close family friend. Parents with legal custody have the right to enroll their children in school, sign them up for extracurricular activities, obtain a passport, make medical decisions, and other such responsibilities. If you agree that both parents should share the rights and responsibility of making these decisions, that’s called joint legal custody. If one parent makes these decisions, he or she has sole legal custody. Even if you and the other parent agree to share joint legal custody, there are additional details that should be discussed. For example, who will keep the children’s passports and social security cards? Are there certain decisions that need to be agreed upon, such as enrolling the children in a private school? Or does it mean that each parent will be able to make decisions in his or her household as that person sees fit? If parents can’t agree, will one parent be the “tie breaker” for medical decisions and the other for educational decisions? Taking time to discuss and tailor the definition of legal custody to your particular situation makes sense. Physical custody deals with which household the children live in. In situations where both parents have significant periods of time with the children, the term joint physical custody applies. 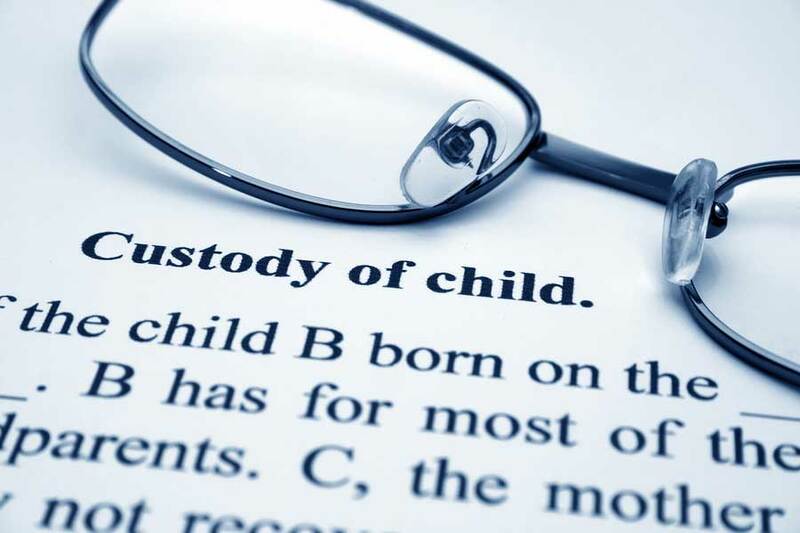 If the children live with one parent and occasionally visit the other parent, sole physical custody or primary physical custody are more appropriate titles. While physical custody generally has less relevance in your day-to-day lives, physical custody does matter in certain specific situations. For example, if parents live in different school districts, the children will typically attend the school where the parent with primary or sole physical custody resides. The important part of physical custody is that it truly reflects the parenting plan. In other words, physical custody should be consistent with your visitation schedule. 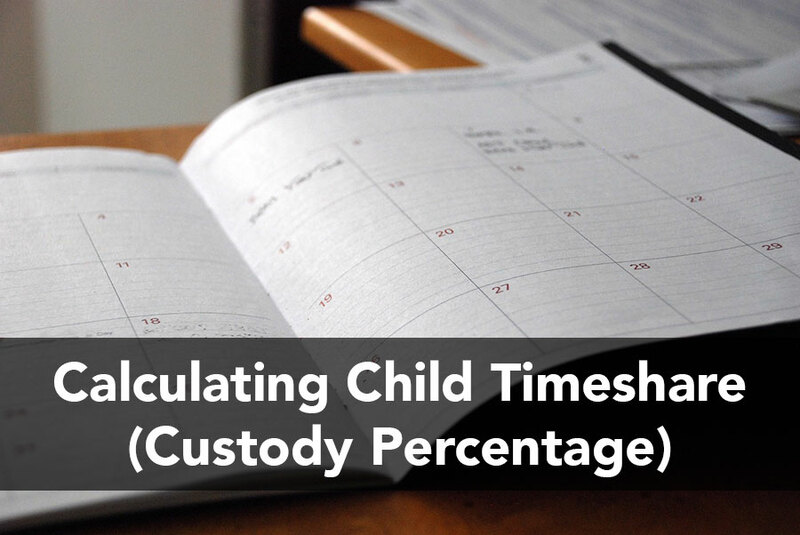 If you and the other parent have a fairly equal timeshare, having primary or sole physical custody has far less relevance than in a situation where one parent has primary or sole physical custody and has the vast majority of the parenting time. A parenting plan is generally broken down into three categories: the everyday schedule, holidays, and vacations. Each of these categories are separate, but they do relate to each other, and you’re going to have to figure out which one takes precedence. For example, if you’re regularly scheduled to have the children during Winter Break, but the other parent is scheduled to have the children due to your holiday schedule, which parent gets the children? Or if you’ve got the children for Thanksgiving, but the other parent wants to go out of the country on a cruise, who has priority? For the day-to-day schedule, you want to think about what really works best for you, the other parent, and your kids, as opposed to what other people do. If you or the other parent travel regularly for work, are in the military, or have a non-traditional schedule, you’ll want more flexibility in your parenting plan. If the children are heavily involved with piano and only one parent has the instrument in his or her home, then maybe that should be taken into consideration. Likewise, holidays don’t have to be based on what other parents do. Think about the traditions in your particular family and what days are important to you and your children. Maybe you value Christmas Day and the other parent celebrates Christmas Eve. If you’re a veteran, Memorial Day and Veterans Day may be holidays you value. Make a list of holidays that matter and then define them. Is Thanksgiving the day, or is it the entire school break? Is Mother’s Day the weekend, an overnight, or from 9:00 am until 6:00 pm that day? There is no right or wrong answer – it’s a matter of what works for you. As for vacations, you’ll need to determine the length of time, the frequency, any restrictions, and the amount of notice needed to give to the other parent. In general, whatever vacation plans you want for yourself will be mirrored by the other parent. While it’s natural to want as much time as possible, just remember that you’ll be missing the children for the same amount of time later on when they’re with the other parent. A lot of times, the length and frequency of vacation time depends on the ages of your children and where you plan to travel. If international travel is something you plan to do frequently, then one week increments don’t make a lot of sense. If you have very young children, then four weeks without seeing the other parent may be difficult for them. If your children are heavily involved in competitive sports, the availability of vacation time is severely limited. As for restrictions, you’ll need to determine if you are okay with your children missing school for vacations, or if you prefer them to only travel during school breaks. Will traveling out of the state require the other parent’s consent? What sort of input would you like regarding the other parent’s vacation plans, if any? How much contact with the non-traveling parent will there be? Luckily, with FaceTime, Skype, and other forms of videoconferencing these days, it’s much easier for children to stay in touch with the non-traveling parent. Finally, as for notice, the general questions are: how much advance notice and what details constitute notice? Will you want a different amount of notice for in-state, out of state, or out of country travel? Many parents like to exchange basic travel itineraries, including flight details, hotel locations, and destinations. Working out these details in advance will lead to far less conflict in the future and allow you and the other parent to actually enjoy vacation time with the children. How do we Write up an Agreement? Memorializing your agreement formally is a vital step in this process that simply cannot be skipped. It creates clarity, ensures you actually have an agreement, and, if done correctly, becomes a legally binding document that is enforceable. You’ll want to be sure that your agreement is clear, detailed, and in language that you both understand. There is mandatory statutory language that is required in all formal custody agreements, which is found in Family Code Section 3048. In a nutshell, the Court needs to be sure that your children are residents of California and that you and the other parent are aware that a formal Order is enforceable by both civil and criminal penalties, or both. If you aren’t writing up your agreement with an attorney, the easiest way to make sure you have all of the right language is to attach your agreement to form FL-355. Once your agreement is written up, you’ll want to submit it to the court clerk. The clerk will make sure the judge signs off on your agreement and then file it. Once your agreement is filed with the Court, you now have an enforceable Order. What that means is that you and the other parent are legally bound to follow your agreement. This creates a lot of consistency and peace of mind for both you and your children. You have a clear schedule to follow, and while you should both feel free to agree to deviate from the schedule, no one can unilaterally change his or her mind.